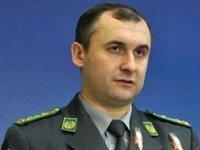 The ban on former Georgian president and ex-head of Odesa Regional State Administration Mikheil Saakashvili's entering the territory of Ukraine will remain in force until 2021, Ukrainian State Border Service spokesperson Oleh Slobodian said. "As of today, there are no grounds for this citizen's [Saakashvili's] legal entry to Ukraine, because, firstly, he is not a citizen of Ukraine and, secondly, he has been banned from entering the country until 2021," Slobodian told Interfax-Ukraine on Wednesday. If Saakashvili attempts to trespass onto the territory of Ukraine, border guards will act in accordance with the law, he said. "Border guards always act within the law and within their powers, therefore we will act in accordance with the law in this case as well, regardless of the date or surnames," Slobodian said. Saakashvili said in an interview with Ukrainian media earlier that he is planning to come to Ukraine on April 1, because he is confident that incumbent Ukrainian President Petro Poroshenko will not pass to the second round of the presidential election on March 31 and, therefore, no one will hinder his entry into the country. In order to confirm his intentions, he also showed a ticket he had purchased on his mobile phone. As was reported, in July 2017, Ukrainian President Petro Poroshenko signed a decree revoking Saakashvili's Ukrainian citizenship, while the former Georgian president was in the United States. On September 10, 2017, Saakashvili has crossed the Polish-Ukrainian border backed by his supporters, inciting a clash with border guards and law enforcement officers. On September 22, 2017, the Mostyska District Court in the Lviv region found Saakashvili guilty of illegally crossing Ukraine's state border. On February 12, 2018, Saakashvili was detained in downtown Kyiv near the office of his party Movement of New Forces, taken to Boryspil Airport and sent to Poland. The Ukrainian Interior Ministry said that in accordance with court rulings in force, Saakashvili had been in Ukraine illegally and, therefore, "in compliance with all legal formalities" he "was returned to the country of his arrival due to violation of domestic legislation."